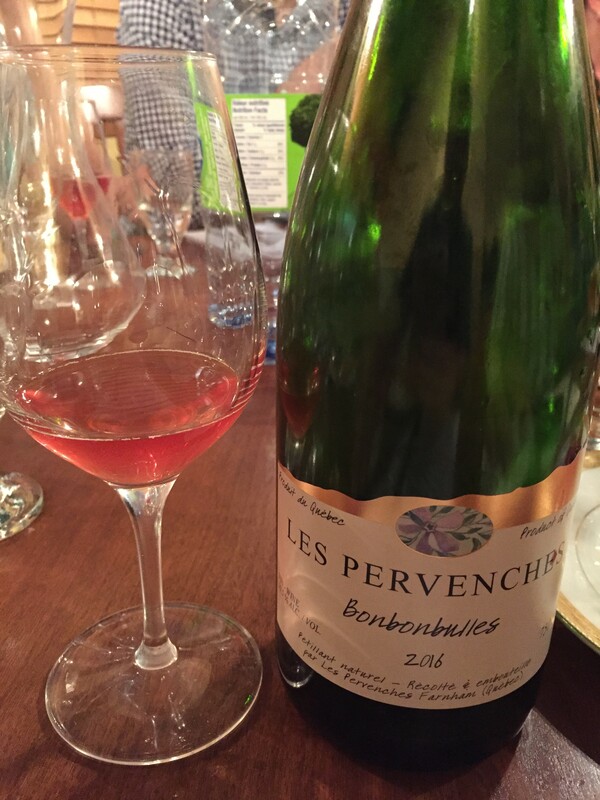 An unclarified ancestral method sparkler, meaning the wine is still on its lees and a bit hazy as a result. 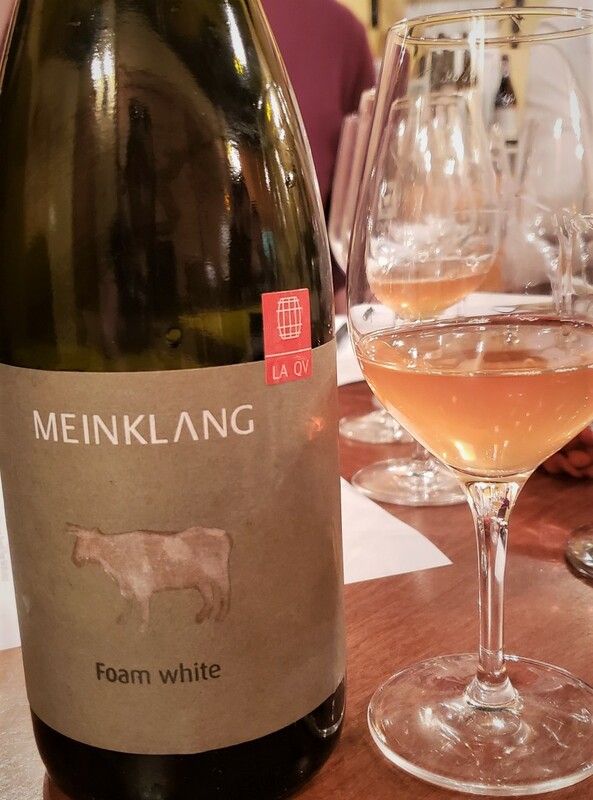 Blend of Hárslevelü (60%) and Juhfark (40%) from biodynamically farmed 35- to 60-year-old vines grown at Meinklang’s estate at the base of the long-extinct Somló volcano in western Hungary. Spontaneous first fermentation in stainless steel tanks. No temperature control, fining, filtering or added sulphur. Crown-capped. Residual sugar: 4 g/l. 10.5% ABV. Quebec agent: La QV. 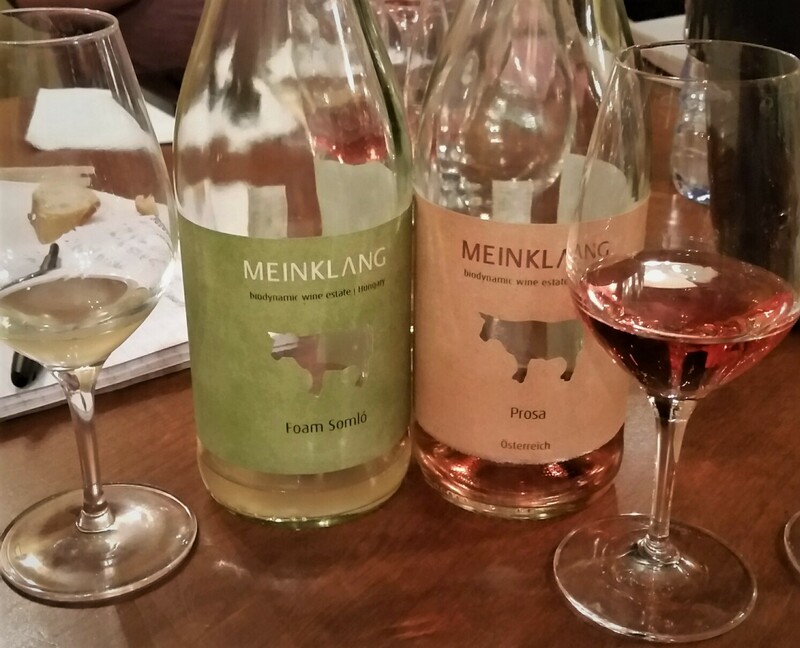 Another ancestral method sparkler, but this time 100% Pinot Noir from biodynamically farmed wines grown in Meinklang’s east Austrian estate. Spontaneous first fermentation in stainless steel tanks. Unfined but filtered. Residual sugar: 14 g/l. 10.5% ABV. Quebec agent: La QV. In 2001, Francesco Mulinari, then a 17-year-old high school student, decided to make wine from some abandoned Sangiovese vines growing on a 2.5-hectare plot of land that his parents had acquired as a picnicking spot and natural playground for their children. Located just outside the wall surrounding Montalcino, the spot, known as L’Aietta, had been the site of an army encampment during the 1555 siege of the city. 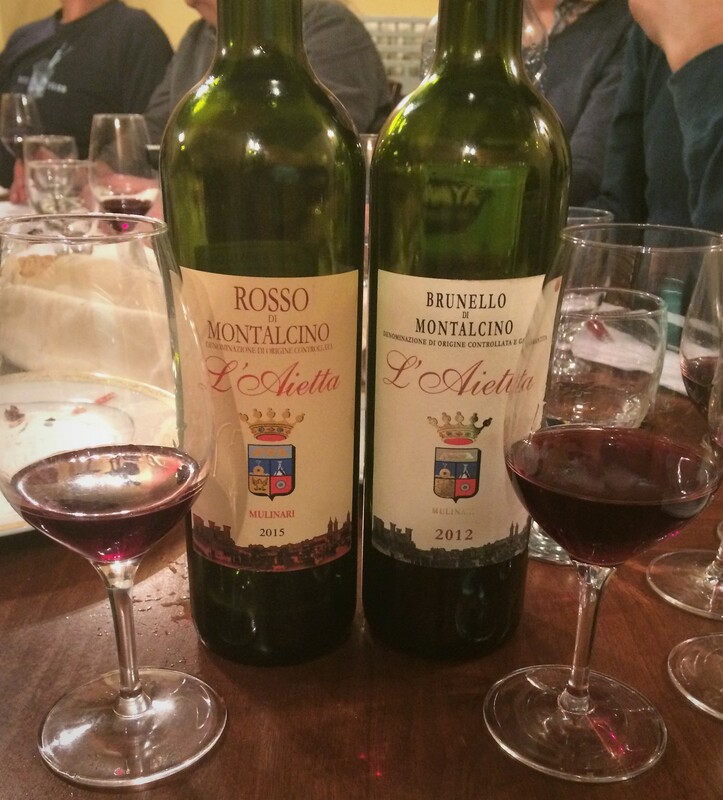 When applying for a production permit, he – well, actually his mother, as he was underage – learned that the parcel lay within the Brunello di Montalcino appellation. His first vintage, the 2001 and officially a Brunello, consisted of 720 bottles. In 2004, Mulinari replaced the old vines with bush vines, as the hard rock would have made installing posts difficult. The land is so steep – the tiny parcel is divided into 18 terraces – that all work is done by hand. In 2002, he acquired another hectare of Sangiovese vines in nearby Castelnuovo dell’Abate, eventually replacing them with bush vines too. He more recently took over a 2.5-hecatre plot in Monecucco, from whose grapes he makes a Chianti-style blend (Sangiovese, Canaiolo and Colorino) and a raisinated sweet white (Malvasia di Candia, Vermentino and Zibibbo). He works this last vineyard with a horse. Farming is rigorously organic (certified in 2013); harvesting is manual; wine-making is non-interventionist. The winery, the smallest in Montalcino, has very little technology and only tanks and barrels. All farming and wine-making is done by Mulinari by himself. Current production is around 7,000 bottles a year. 100% Sangiovese Grosso from organically farmed vines averaging 15 years old and located in the Castelnuovo dell’Abate vineyard. The grapes are harvested based on their acidity, not their maturation, and before their colour is fully developed (green harvest fruit, in other words). Macerated and fermented (with indigenous yeasts) for 30 days in stainless steel tanks. The still wine is matured for one year in large Slavonian oak barrels. Secondary fermentation and one year’s maturation take place in the bottle. Unfiltered and unfined. 11.5% ABV. Around 700 bottles made. Quebec agent: Vadim Fonta. 100% Sangiovese Grosso from organically farmed vines averaging 15 years old and located in the Castelnuovo dell’Abate vineyard. The grapes are macerated and fermented (with indigenous yeasts) in stainless steel tanks for 30 days. Matured one year in large Slavonian oak barrels and one year in the bottle. Unfiltered and unfined. 2,600 bottles made. 14.5% ABV. Quebec agent: Vadim Fonta. 100% Sangiovese Grosso from organically farmed vines averaging 15 years old and located in the L’Aietta vineyard. The grapes are macerated and fermented (with indigenous yeasts) in stainless steel tanks for 21 days. Matured two years in large Slavonian oak barrels and one year in the bottle. Unfiltered and unfined. 2,200 bottles made. 14% ABV. Quebec agent: Vadim Fonta. This pet-nat (ancestral method sparkler) is a blend of Zweigelt, Frontenac and Chardonnay from organically farmed vines. 10.5% ABV. During its short window of availability, it could be purchased at the winery, at a few area food stores specializing in local products (e.g. Dans la côte, Fromagerie Hamel) and through the Quebec agent, La QV. 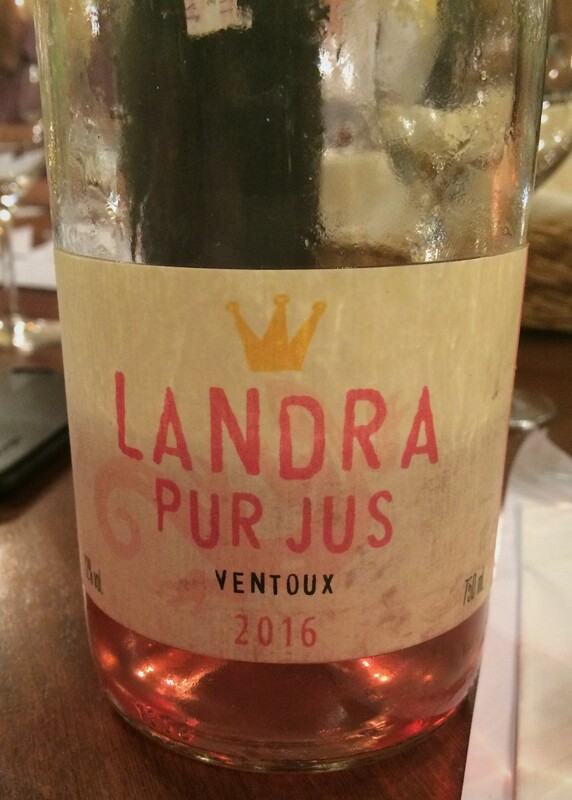 Cinsault (70%) and Grenache (30%) from organically farmed vines averaging 15 years old; the blend sometimes includes Syrah but not, it appears, in 2016. Manually harvested. Direct pressed. Fermented with indigenous yeasts at low-temperatures and matured in stainless steel tanks. Lightly filtered. Unfined. No added sulphur. 12% ABV. Quebec agent: WINO. British expat Tony Bainbridge and his American wife Julie worked in wine and ESL in Burgundy before moving to the Loire, where Tony initially held a job at Domaine Mosse. In 2007, with the help of Ali and Rob Cathcart, the couple acquired 4.2 hectares of vineyards in Faye d’Anjou and Chavagnes les Eaux. Total production is around 6,500 bottles. This rosé sparkler is 100% Grolleau from organically farmed grapes. The grapes are manually harvested, given a short maceration on the skins and fermented with indigenous yeasts. Fermentation continues in the bottles, which are riddled and eventually disgorged. 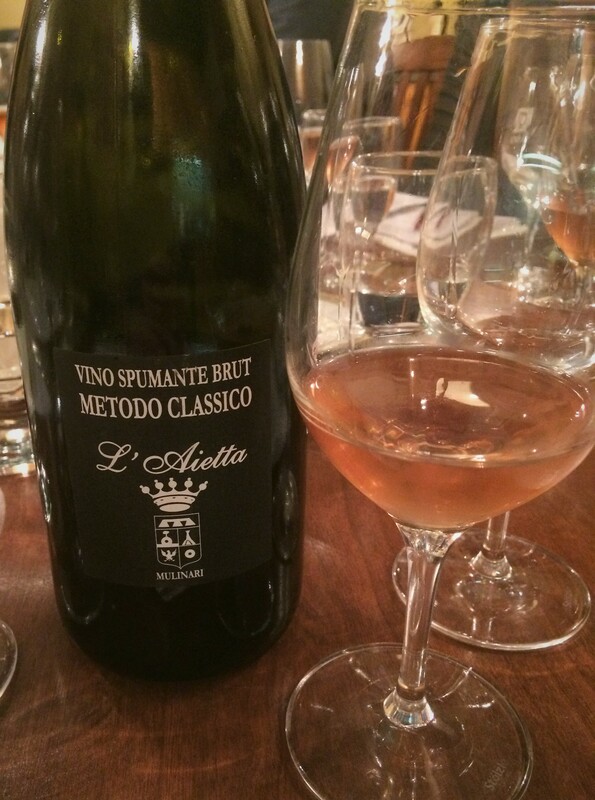 Unfiltered, unfined and, like all the estate’s wines, bottled in a clear champagne bottle and closed with a crown cap. The name (“the dancer”) refers to the barrel of wine that, back in the day, a vigneron would set aside for his mistress. 11.5% ABV. Quebec agent: WINO. 100% Sciacarello from vines planted on the high granitic slopes of the Pumonte lieu-dit on the Île de Beauté. No pesticides or herbicides are used. Manually harvested. 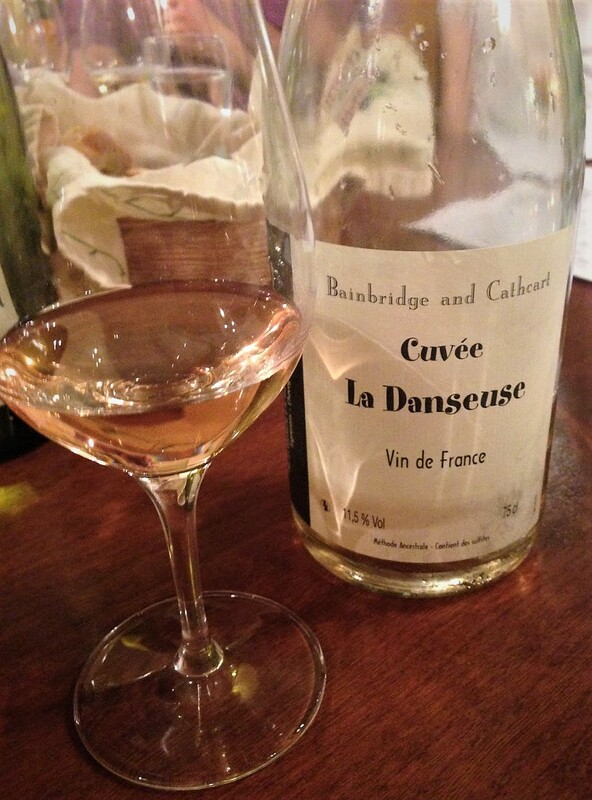 Half the wine is made using the saignée method and the other half is direct-pressed. Fermented with selected indigenous yeasts in temperature-controlled stainless steel tanks. Lightly filtered before bottling. 13.5% ABV. Quebec agent: oenopole.